Pia Smith Orleane and Cullen Baird Smith are extraordinary interstellar communicators! Guided away from using old paradigm terms such as "channeling", Pia and Cullen state that the information they share comes from an energetic "merging" of their hearts and minds to the hearts and minds of other Light Beings who wish to help humanity evolve. It takes a combined presence of both of their energies to bring forth the wisdom of Laarkmaa. As they join hands, the voice of Laarkmaa begins to speak, sometimes through Cullen, but most often through Pia, whose soft voice resonates with the musical Pleiadian tones. Pia, who has accessed parallel realms of Light and Love since she was a small child, also provides a voice for the divine feminine energies of Mary Magdalene, and the Great Mother Mary. Pia is the author of the literary jewel, The Return of the Feminine, and COVR Award for Visionary Fiction, Southern Piercings. Pia co-authored Laarkmaa's books, Conversations With Laarkmaa and Remembering Who We Are with Cullen Smith. Pia holds a Ph.D. in the Psychology of Consciousness and Spirituality. Cullen is a Visionary, a Sensitive, and an Energy Healer, as well as an Interstellar Communicator. Cullen has participated with non-ordinary states of reality under the guidance of Pan's kingdom and star family since early childhood. Co-author of Conversations With Laarkmaa and Remembering Who We Are, Cullen began supporting the healing of others through assisting energy movement when he was four years old. At age nine, he produced a "Findhorn Garden" in his backyard with the aid of the devic kingdom, preceding the magical Findhorn Gardens in Scotland by a decade. When Laarkmaa began communicating messages of love to Cullen and Pia, they were simultaneously stunned and excited! 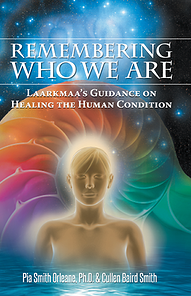 Years of interstellar-human communication were recorded and transcribed into the two books, Conversations With Laarkmaa: A Pleiadian View of the New Reality and Remembering Who We Are: Laarkmaa's Guidance on Healing the Human Condition. The Journal of Humanistic Psychology describes their work as a "must read for anyone interested in the evolution of human consciousness." 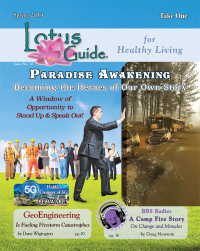 Working with Laarkmaa accelerated Pia and Cullen's abilities to communicate with other dimensional beings, and now a myriad of other voices are presenting themselves in an urgent attempt to reach humanity and assist in humanity's evolutionary process of elevating consciousness. 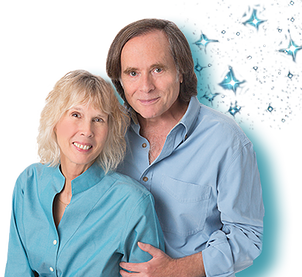 Acting as Ambassadors to the Pleiadians, this couple brings Laarkmaa's inspiring and heartwarming messages of hope, love, and peace to all those who are willing to listen. Cullen and Pia have dedicated their lives to bringing Laarkmaa's wisdom into the world, helping with the evolution of humanity, and living with Ahimsa (do no harm), by promoting peace, harmony, and responsibility for all our thoughts, words, and actions.